This traditional eastern Indonesia dish will always be favorable. 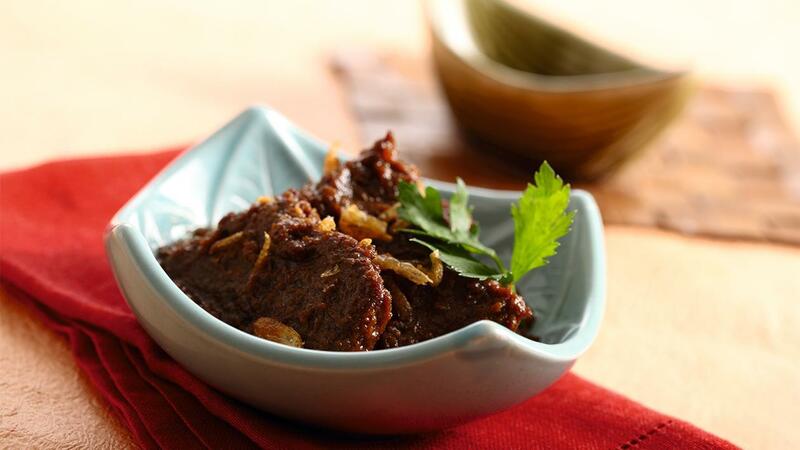 Tempting for rendang lovers! Mix the meat has, spices and Bango Sweet Soy Sauce. Stir well. Pour the tamarind water, salt, sugar, ginger and water. Cook until done and pervasive. Add cooking oil. Stir well. Serve.